recovery, and leads to shortened hospital stays. 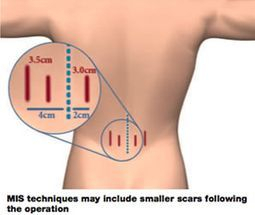 Many minimally invasive spine procedures can also be performed on an outpatient basis. 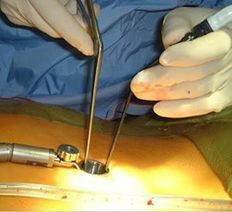 Minimally invasive techniques are routinely used by neurosurgeons to perform cervical and lumbar disc surgery, as well as selected spinal instrumentation and fusion procedures. A prolapsed intervertebral disc (also known as slipped disc) is a condition that occurs when the spongy part of a disc that lies between two adjacent vertebrae in the spine comes out and presses on the nerve. Micro lumbar discectomy is an extremely conservative microsurgical procedure for the treatment of the herniated lumbar disc. It is the safest minimally invasive procedure providing direct 3-D vision; maximum comfort to the patient with less complications and returning him to original job, however hard it may be. 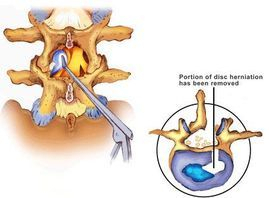 A cervical discectomy is an anterior approach to removing a cervical herniated disc in order to relieve spinal cord or root pressure and alleviate corresponding pain, weakness, and numbness. This can be supplemented with fixation & fusion of Spine using Titanium plate, screws & Case with bone grafting. In this procedure the Cervical Spine is stabilised by Titanium Anterior Instruments using Plates, Screws & Cages. The patients are mobilised quickly & are able to rehabilitate to their work including the major sports event. 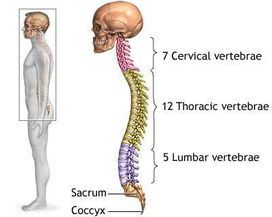 For Lumber & Dorsal Spine, similar kinds of instruments are used Anteriorly & Posteriorly to stabilise the spine & rehabilitate this patients to their normal routine life. Indian doctors are providing vertebral disc replacement in India are well equipped with newly developed technology that gives more favorable results for patients in less time at a low cost. Vertebral disc replacement has been proposed as a surgical alternative for patients whose disease has not progressed too far, where only one segment is affected, and where there is no significant facet joint disease. 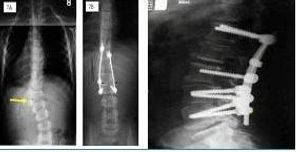 Proponents of vertebral disc replacement surgery claim that it allows for a higher degree of natural flexibility, decreases the incidence of adjacent segment degeneration, reduces complications, and allows for an earlier return to full function as opposed to discectomy and fusion of the adjacent vertebrae.